After i complete a cake order, I almost collapse on the bed. 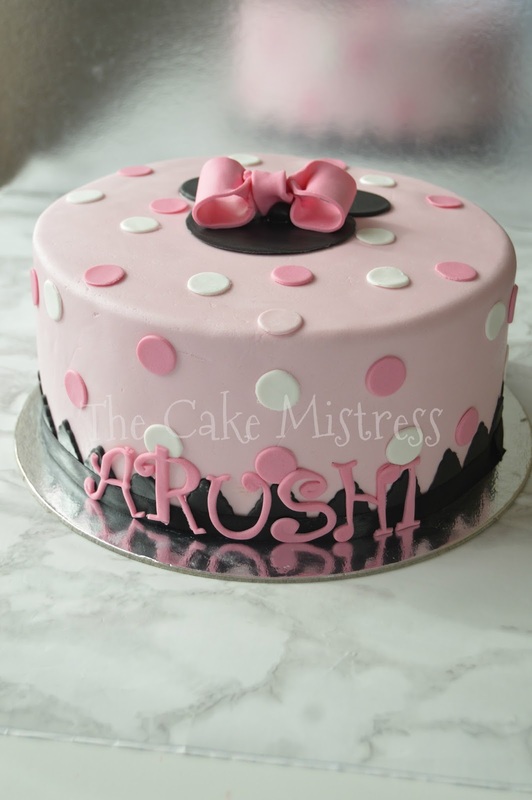 The cake looks quite simple and effortless. But more than effort spent on cake its the cleaning of mess that requires more effort and energy. And sometimes the effort is not equally paid, making me wonder why I do cake orders. But this passion has turned out to be more of a craze in me. It has stole my sleep in many ways. Here is my page. 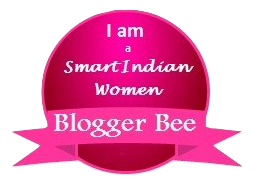 Please hop over to my page and give thumbs up. Moving over today's post it is a Chicken Tikka Quesadilla. Sounds good? 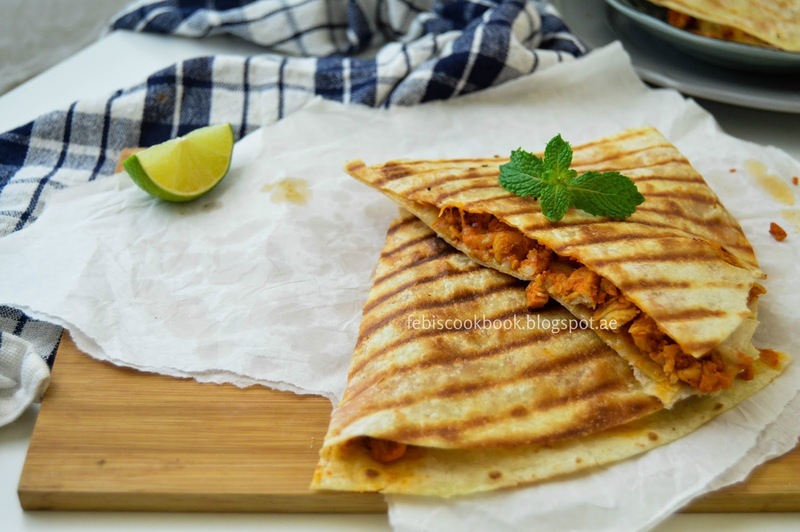 This recipe was inspired from one of the videos that filmed how to make Chicken Tikka Sandwiches. I was drooling over it again and again, when my hubby asked,"Why don't you make them yourself and eat?". We all like to be pampered and fed by some one else right? I always love to eat food cooked by some one else more than that cooked by myself. And the best of food I love to eat is my Umma's (I know I am telling this for zillionth time). I love food, Indian or continental. But the best thing I love about any food is how simple it is to make. 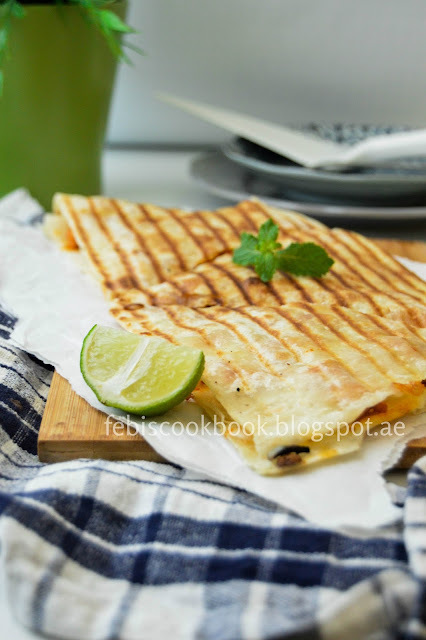 Like for this Quesadillas, if you have store bought tortillas, all u need to do is prepare a filling and sandwich filling in between tortillas. It's as simple as that. The best part of Indian food is that no matter how complex it is to make, it is loaded with flavors and spices for your taste buds to have a roller coaster ride. 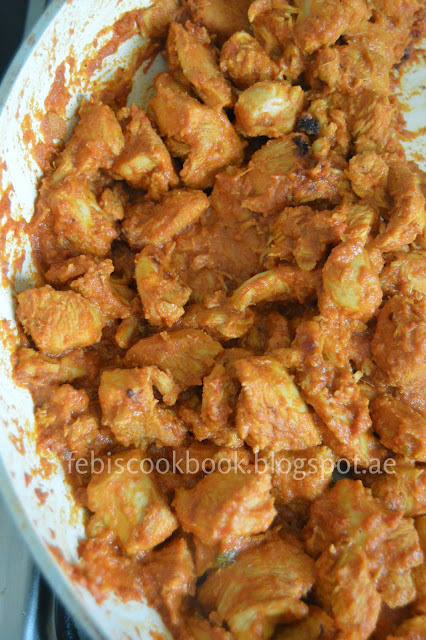 Yes, especially for something like Chicken Tikka Masala, it is worth dying for kind of food. 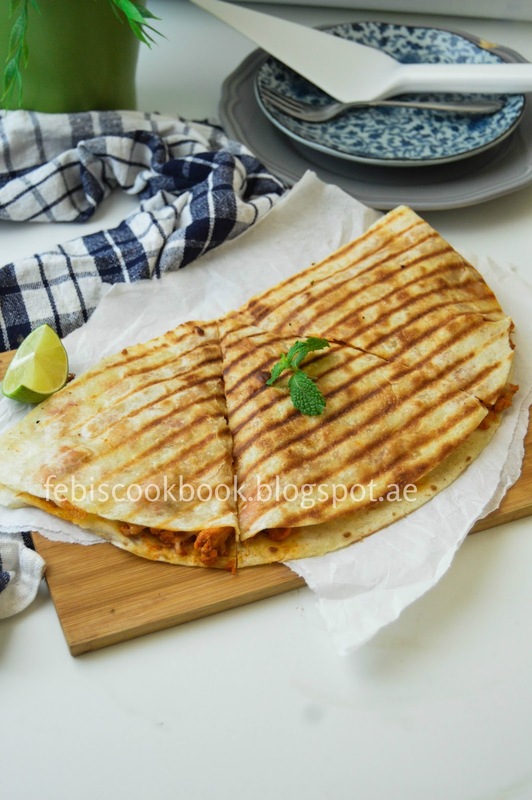 So this is combining of simple Quessadillas with complex but delicious Indian Chicken Tikka gravy. And no doubt, how crazy delicious it is!!! 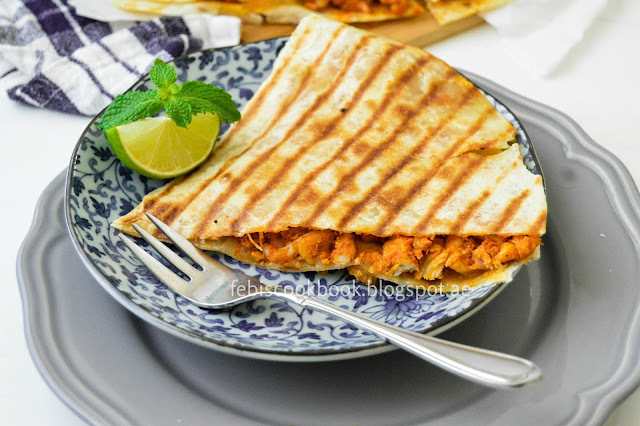 I used store bought tortilla which is why this recipe was simple and easy for me to make. You can make with home made ones, I have a recipe on my blog for that too. Recipe here . Marinate chicken pieces with given ingredients. Heat butter in a pan and add marinated chicken, Saute. Now add the tomato puree, Mix well. Close the lid and cook. Once the chicken is cooked keep the lid open and let the water evaporate completely from pan. Keep mixing with wooden spoon at regular intervals so the gravy do not burn. Once done of the flame. Now heat a grill pan, Slightly grease with butter. Place a half tortilla (cut tortilla into two to get a semi circle) onto the pan. Place 1/4 th to 1/3 rd of prepared filling onto the tortilla. Spread the filling onto tortilla. Now sprinkle a generous amount of cheese, Place another semi circle of tortilla on top. And grill for 2-3 minutes. Now carefully flip Quesadilla and grill the other side. Repeat with remaining filling and tortilla. 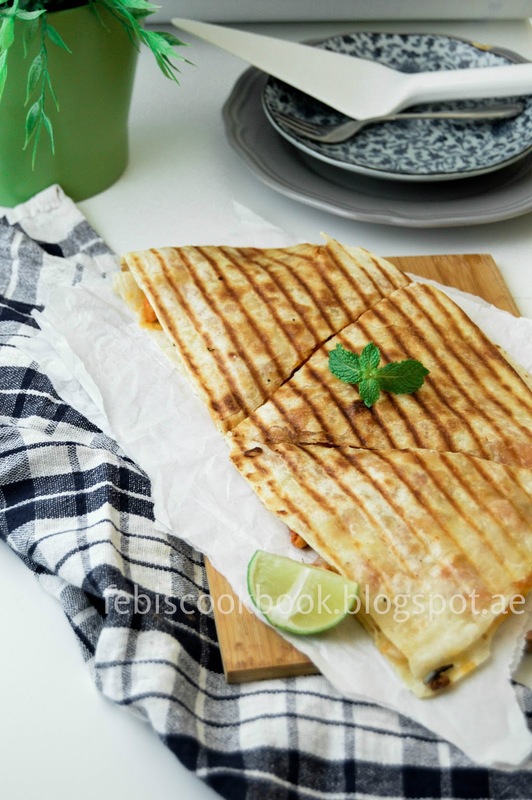 Place Quesadilla into a plate and serve in triangular slices. With a big bag of strawberries sleeping in my freezer, I had to make maximum use of it. 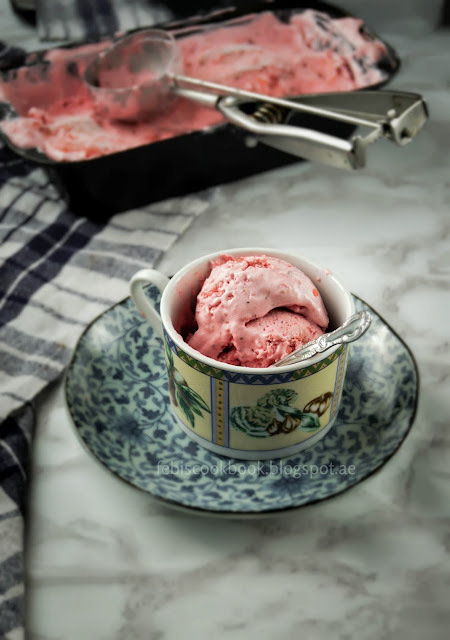 It's been many strawberry recipes back to back on my blog.Anyways hopefully this would be last or at least second last strawberry recipe. 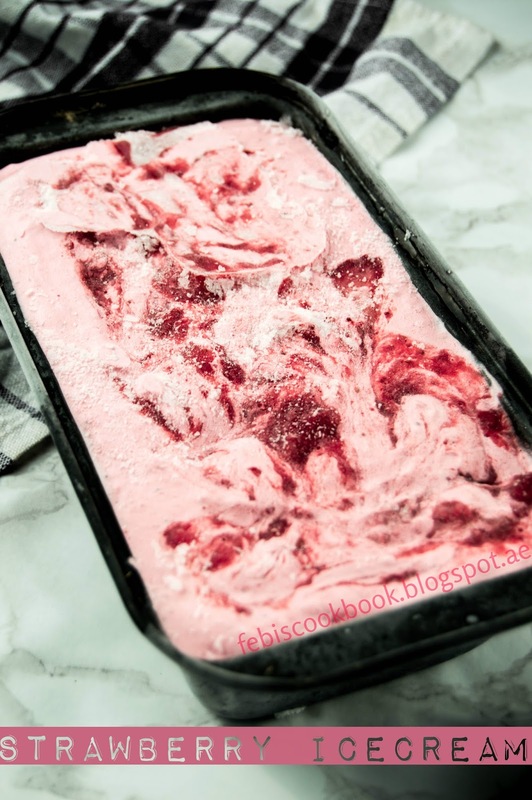 This strawberry recipe is easy one to make and is so strawberry- ey. It uses only 3 ingredients and it is ready to go. 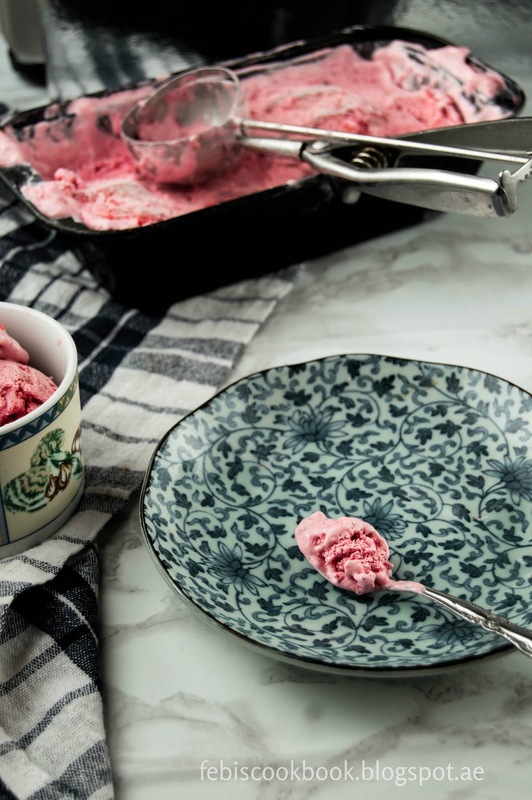 This one does not use Ice- cream maker and can be whippped up in no time. However you need to have patience for it to freeze completely before you actually start eating. 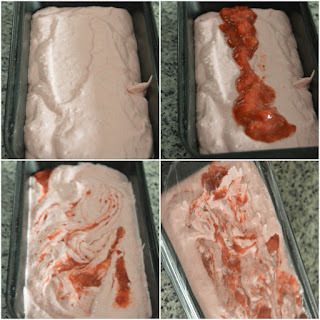 The result is creamy strawberry ice cream. Place the cream in a large steel bowl, along with whisk attachment that will be used to whip cream. Place the cream, bowl and whisk together in the fridge to chill for at least half an hour. Now take out the bowl, whisk and cream. Whip Cream on high speed till soft peaks. 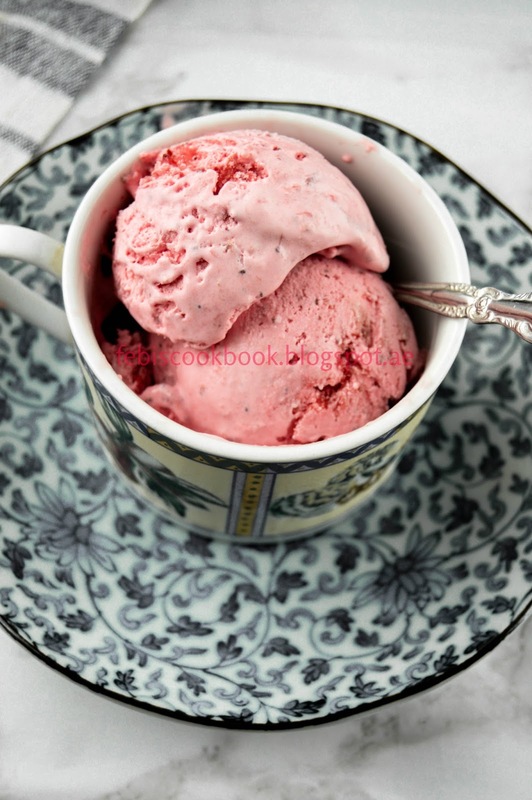 Add remaining ingredients, reserving about 1/4 cup of strawberry puree and whip further. Now take a container, transfer the whipped ice cream to it. Add the reserved strawberry puree on the top in the middle in a line. 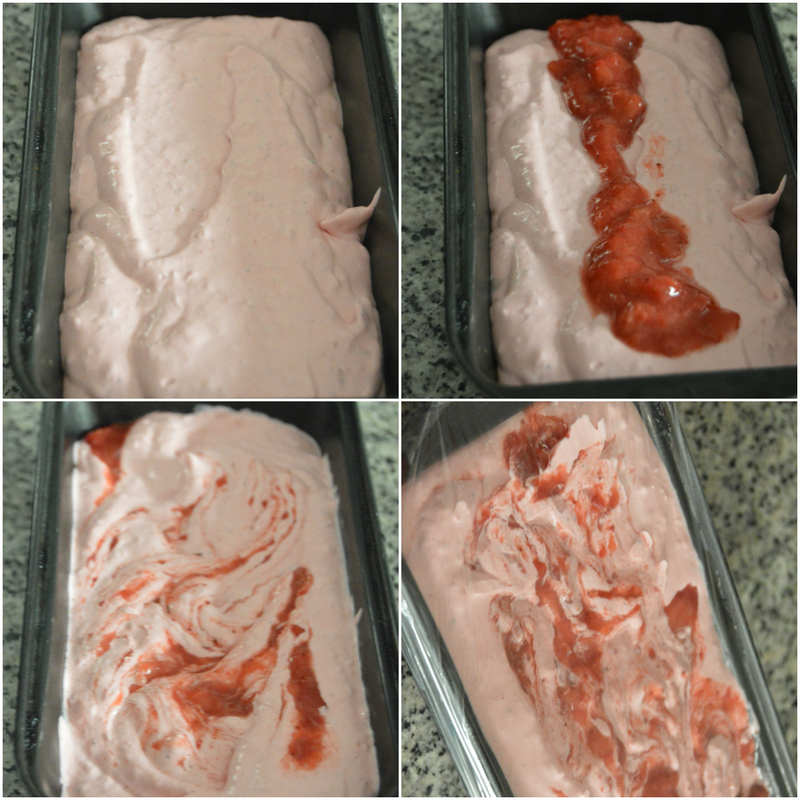 Using a fork make a swirl, to create a rippled effect of strawberry puree. Now cover the container, I used cling film. And freeze for at least 6 hours. Before serving, keep ice cream out for a while to make it soft. Mango, king of fruits, is one of my favorite fruits. These days I always have it in stock. The best way i like to consume mangoes is in liquid form while my hubby loves to eat it as it is. I am a huge addict of Pinterest and I always hop over it to find food ideas. 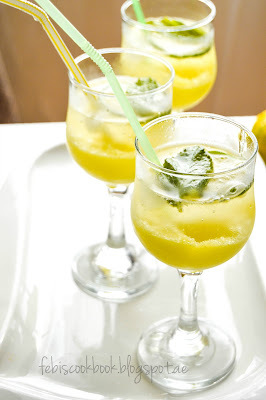 One such recipe that caught my attention was Mango Mojito. When I looked for the recipe, it sounded simple and I had to try it straight away. You can look for my Blueberry Mojito recipe here. 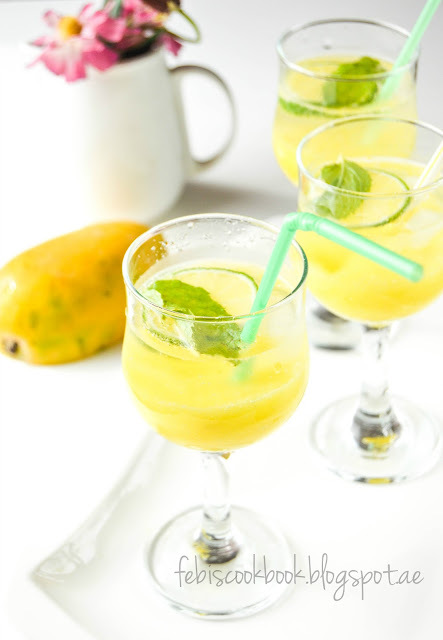 The recipe requires pre-made Mango nectar which I made myself. Well, nothing is more satisfying than home- made right? The quantity I prepared can serve about more than 5-6 people. Also, it stays for about a week in fridge. I haven't refrigerated it for any long, so I cannot assure you if it can stay any longer. 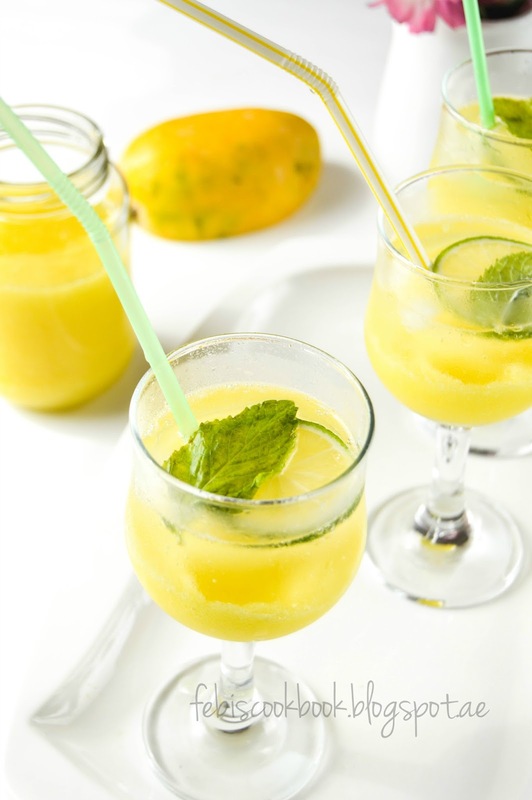 In a blender, blend all the ingredients for Mango nectar. Keep it refrigerated in an airtight jar till ready to serve. 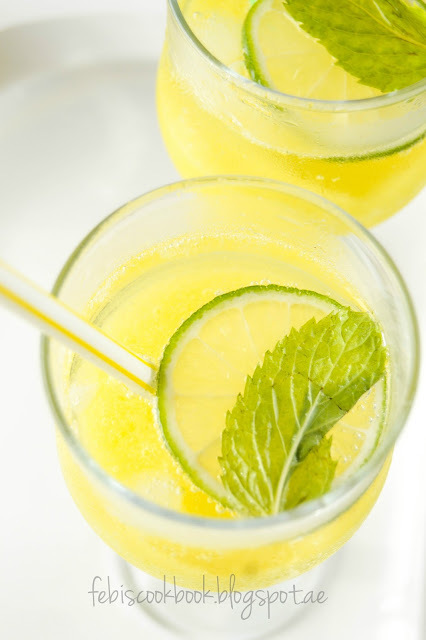 In a serving glass, pour 1/3 glass full of nectar and top with few ice cubes, mint and lime slice. Now pour soda over and give a slight mix using a spoon and enjoy! 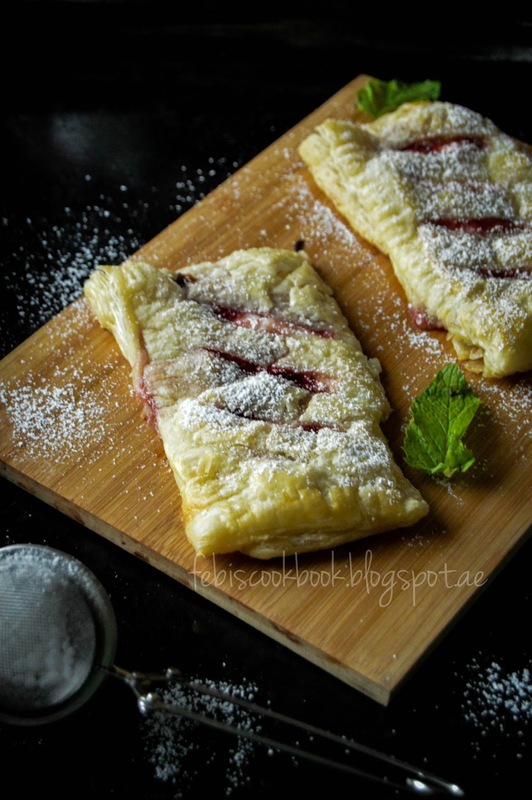 Strawberry cream puffs, when you are looking for some easy snacking recipe, that you can prepare on the go and have as fast as you can. Well you need some patience and wait till you thaw your puff pastry.While the puff pastry thaws at room temperature, you can prepare the cream filling. The cream filling needs to cool for a while to become thick. But you can transfer into a flat plate and keep in fridge to cool fast if you are in a hurry. I wanted something easy and sweet and something tart. So I added Strawberries. Adding strawberries is totally up to you. You may add strawberry jam too. For me, one bite gave me an explosion in my mouth. 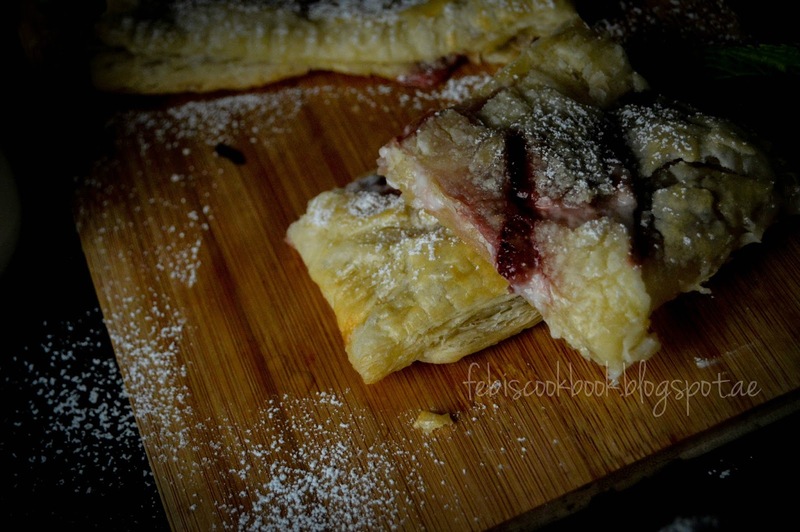 Flaky puffs, sweet cream filling with tart strawberry, served hot was perfectly satisfying for my sweet tooth. Hubby as usual had only limited portion while my kids and I loved it totally. 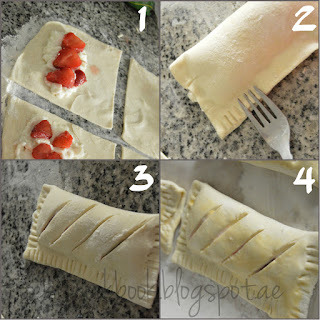 I have added a collage on how to design your puff pastry. You can bake it completely sealed with no opening unlike me. Egg- 1 beaten with a tablespoon of water. Thaw the puff pastry. Roll over a flour dusted surface to 1/4 th of an ich, Cut into 4 equal squares or more depending how small or big you want the squares to be. Add a tablespoon of filling onto one half and spread over the same half leaving a small room at the edges for sealing the puff pastry sheet. Place few slices of strawberry over the cream filling. Now fold over the remaining half of the pastry sheet thus enclosing the cream and strawberry filling. Gently press the edges with your finger to seal it. Now using a fork press the edges to create a design. After the edges are sealed, take a knife and sear diagonal lines to slightly show up the filling. Now brush the top of pastry with egg beaten with water. Bake for 15-20 minutes or till the top browns at 180 C.
Once baked, dust the top with Icing sugar. 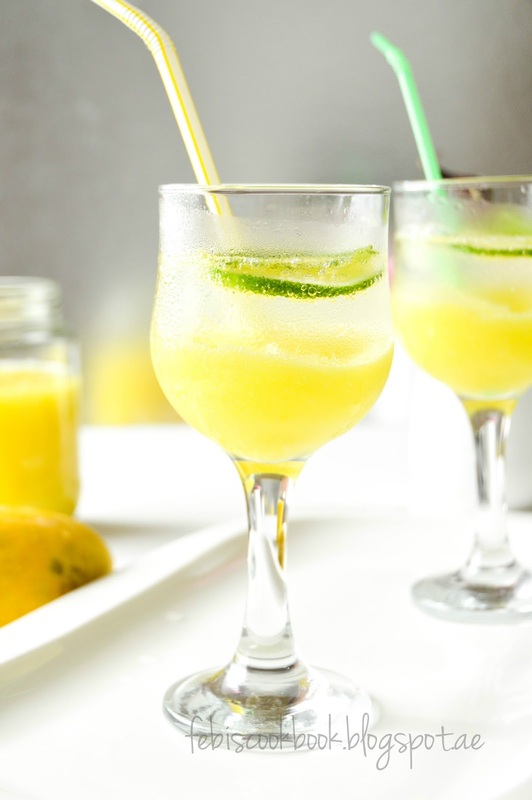 What is more refreshing than a lemonade, And if it is made of your favorite fruit, there is no stopping by. 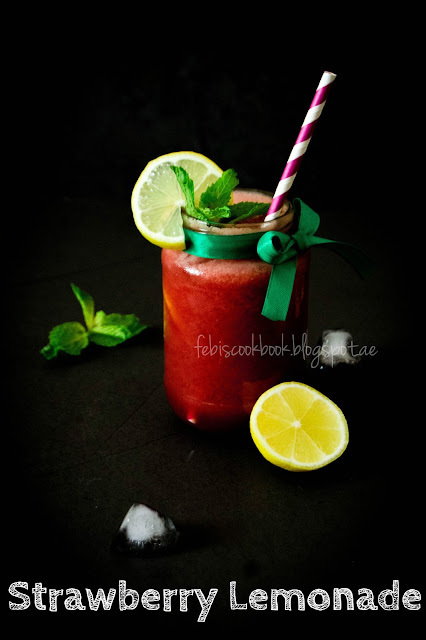 Today's post is a Strawberry Lemonade. 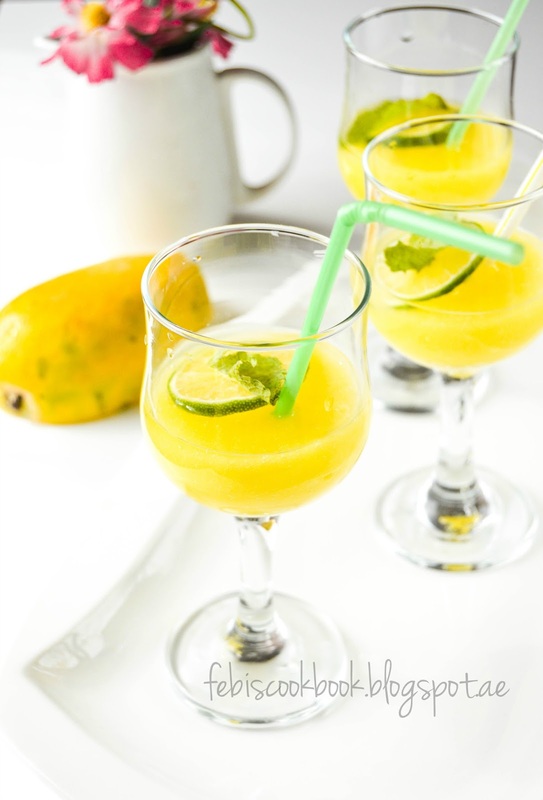 It is absolutely easy to make and a must have to get refreshed after returning back tired from outside scorching heat. Such is the summer here in U.A.E, its simply getting impossible each day. Alhamdulillah its vacation for me, otherwise it would have been dreading. 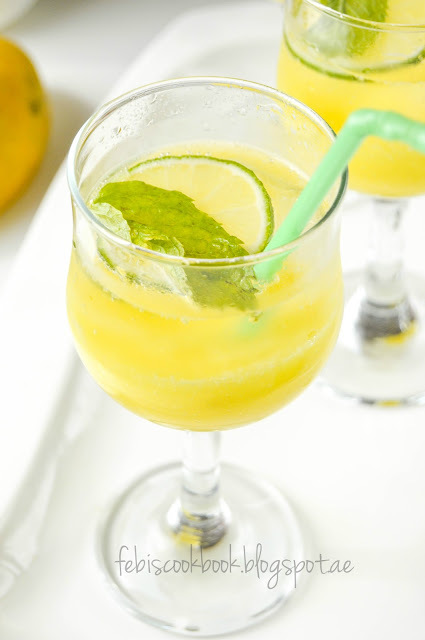 This lemonade is simply easy to make, All you need to add is pureed strawberry to lemonade. I used frozen strawberry here, You can use fresh ones. 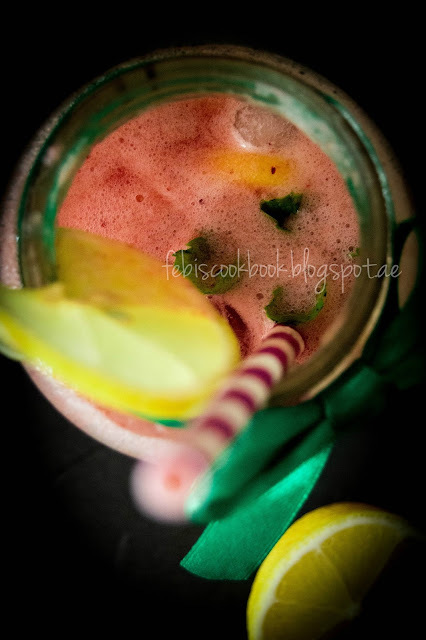 Squeeze out the juice out of lime into an electric blender, Blend rest of the ingredients till there are no chunks of strawberry. Strain juice through a strainer. In a glass, add in slices of lime and mint leaves. I love sandwiches in any form. I love burger with ketchup and cheese slices. The only thing that holds me back is, wondering what must have gone inside all those patties. 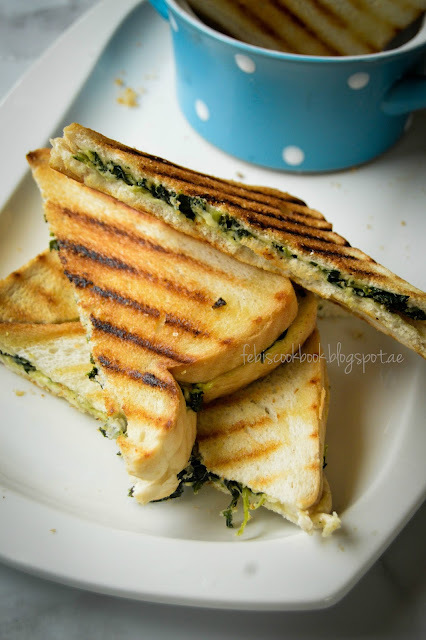 This time for post is a sandwich with cheese and spinach. I made a similar version for Ramadhan with Dill leaves instead of spinach and was loved by all. 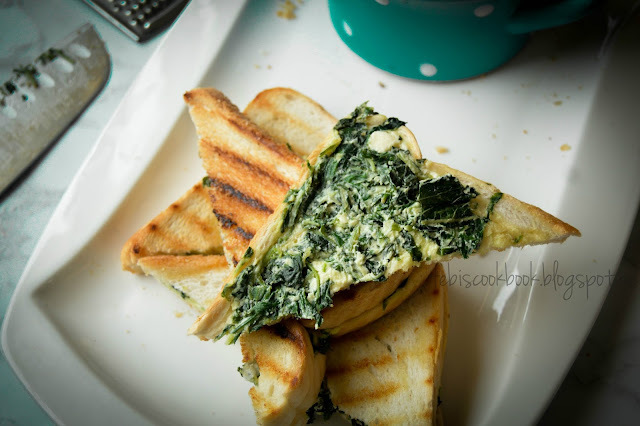 This sandwich is really easy to make and serve as good breakfast or lunch box idea. 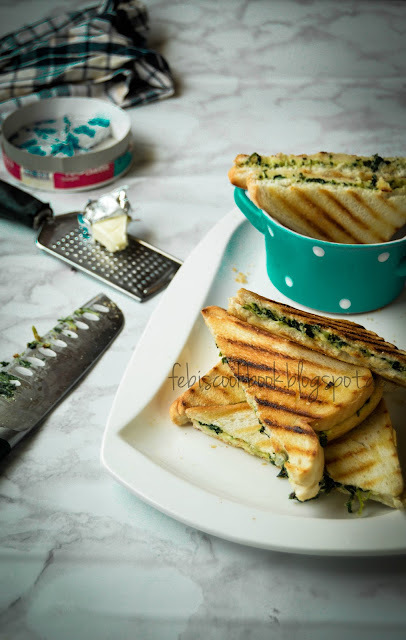 Chop spinach finely and cook in a pan. Add some salt and keep stirring till water dries off completely. Transfer the wilted spinach to a bowl. To that add grated cheese, a squeeze of lime and mix well. 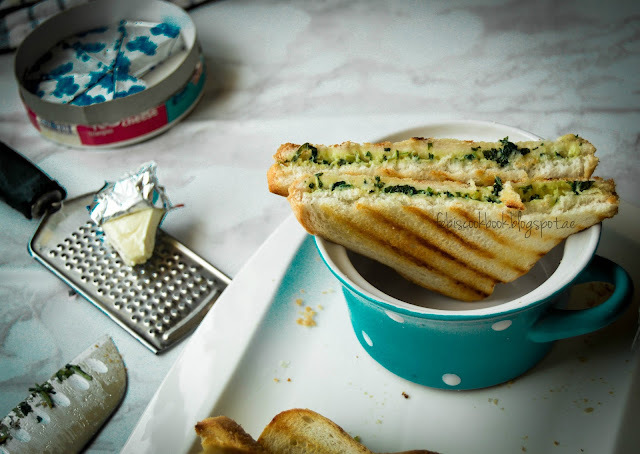 Now spread a spoonful of cheese- spinach mixture to one side of bread slices. Close the slice with another slice. Now repeat the with remaining. Now butter a pan or grill pan. Place the sandwich and fry till golden, flip it and fry other side same way. Cut diagonally. Serve warm or cold. 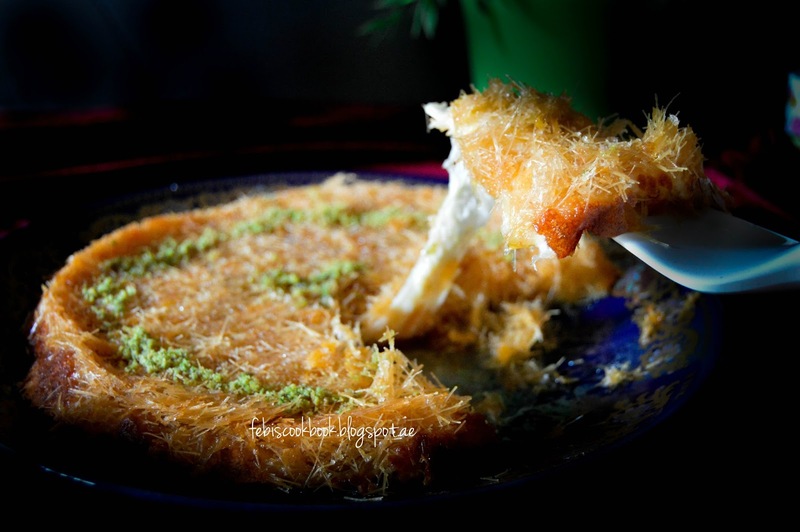 Kunafa, i have not much words to describe this dessert. So addictively delicious is all i can say. 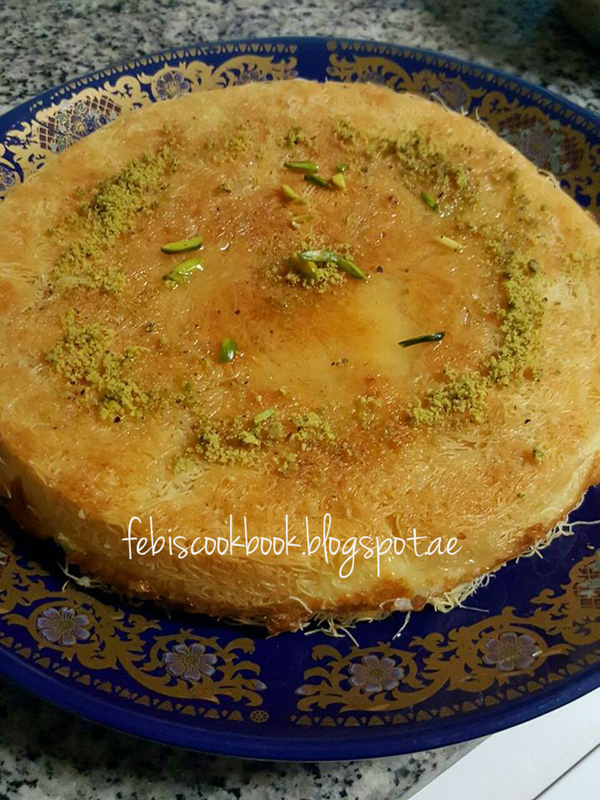 Its a baked Arabic dessert with shredded Kunafa dough and cheese as filling, served warm with rose scented sugar syrup . Whenever I crave for one, I always beg my husband to get one from any of the local Arabic bakeries/restaurants, but it is only a limited portion i can enjoy as the price is too high for a small quantity. And with kids around, my cravings are never put to end. All i can do is sit back and drool over this heaven when my kids gobble it down. This time i decided to give it a try, after drooling over a plethora of images and recipes on internet. Also after having one from one of the Arabic restaurants, and the deliciousness it had (OMG!! 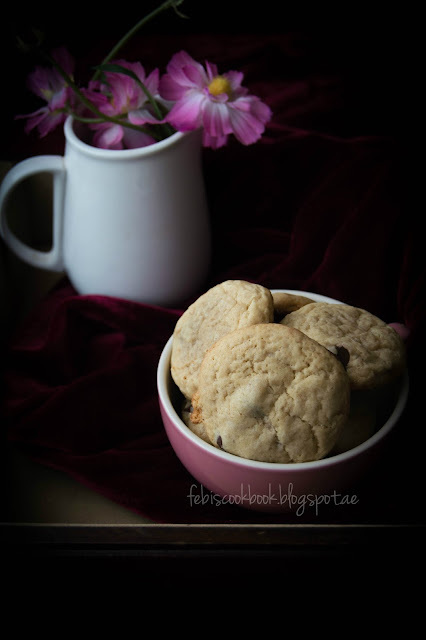 It was such a heaven, served straight from the oven, my husband and i couldn't wait it to cool down, we had the entire thing all by ourselves), i could not hold back my temptation any more from baking one right after 2-3 days. And i waited only so much days only because it was holiday in between and we were not at home. 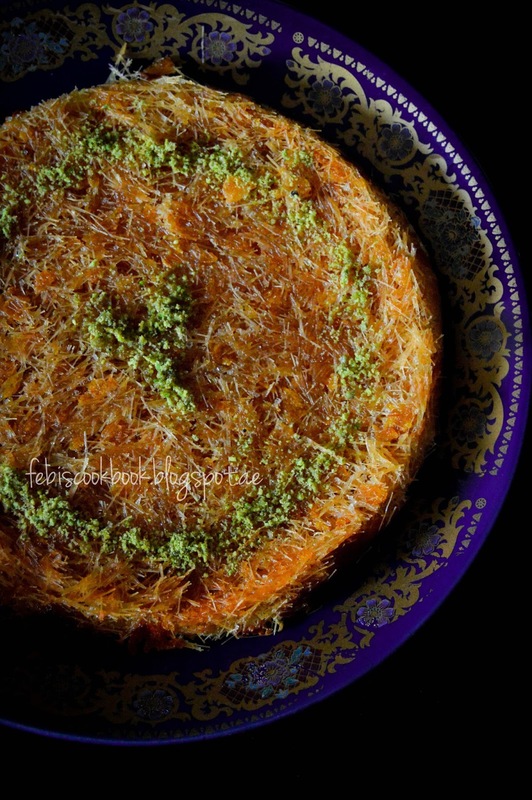 This one over here is made of vermicelli crust rather than Kunafa dough, easily available in supermarkets, which is actually what it is supposed to be made of, as I said I did not have any patience to wait and hop over to supermarket to buy Kunafa dough. I made another one with Kunafa dough and it turned out to be equally good. But second time i tried with creamy filling rather than only cheese. Both the times it was equally delicious, though using Kunafa dough gave the right texture. Also i did not add any food coloring to tint the crust as mentioned in most of the recipes. I love the golden shade of the crust and that is surely the most appealing one. So here i will be sharing both the versions, where used Kunafa dough and Pakistani vermicelli for the crust and also the creamy filling and cheese filling as filling. So sorry for the poor picture quality, as i said i was too greedy to focus and capture patiently a good snap. I actually waited to post this recipe until I tried this recipe for the second time and shoot a decent picture. But, SIGH!! my greed only got worse and the picture was equally bad. Take a large bowl and put all the vermicelli and crush it with your hands to finer pieces. Mix in the melted butter. Now grease a 9 inch round cake pan with butter. Add half of the vermicelli and press gently so that all of them stick together. Now spread mozarella cheese on top of it. Next spread the remaining vermicelli. Bake in a preheated oven for about 30 minutes at 180 C.
Meanwhile, mix all the ingredients for sugar syrup in a sauce pan and bring it to boil, simmer for few minutes. Take off the flame and keep aside to cool. Take pan out of oven and let it cool for 10 minutes. 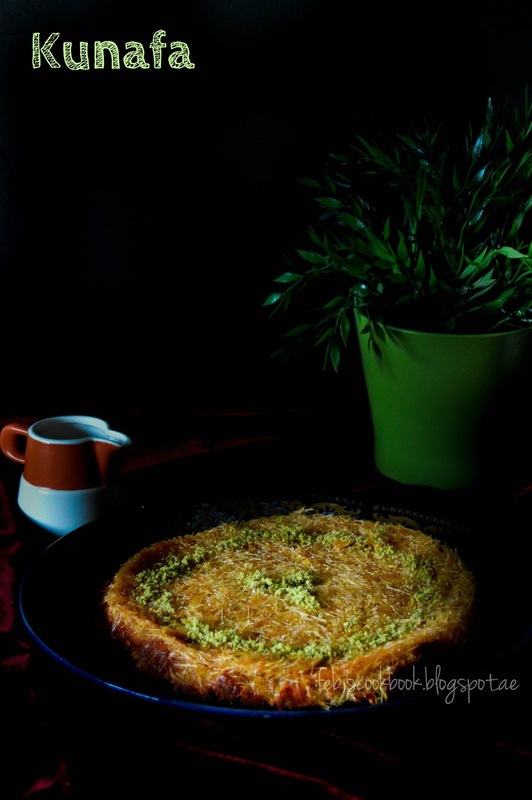 Using an offset spatula, run through the sides of the pan to loosen the Kunafa and flip. Pour the cooled sugar syrup over the hot Kunafa just enough to soak the dessert evenly. Garnish with pistachios. Enjoy hot Kunafa. Mix milk, cream and cornflour till no lumps in a sauce pan and bring to boil. Simmer for a while and keep stirring. Add in rose essence. And stir till the milk is thick. Off the flame. Keep aside to cool. Cover with a cling wrap while cooling to prevent formation of crust or keep whisking at regular intervals. It takes about an hour to cool completely. Once cool the filling gets more thick. Follow the instructions as mentioned on the pack before using Kunafa dough. Take a large bowl and put Kunafa dough and shred it. Mix in the melted butter. Now grease a 9 inch round cake pan with butter. Add half of the dough and press gently so that all of them stick together. Now spread cream filling on top of it. Sprinkle Mozarella cheese on top. Next spread the remaining Kunafa dough. Pour the cooled sugar syrup over the hot Kunafa just enough to soak the dessert evenly. Garnish with pistachios. 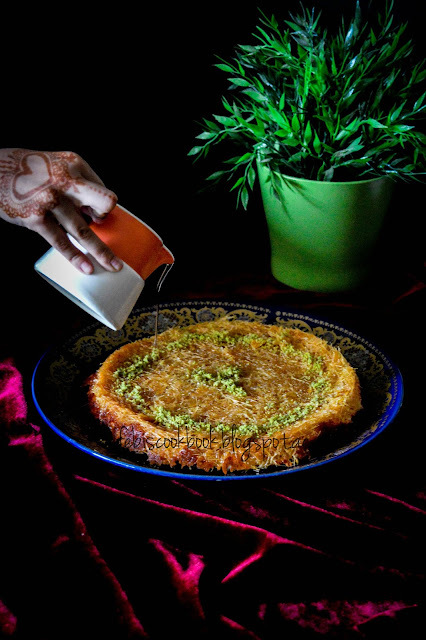 Serve hot and enjoy yummy Kunafa! !